More photos of a wild river day go to “Categories” on the side and “River Day”. Also select “Google Map of Itinerary” under “Pages” to locate the icon for “Extra Day”. On the extra day in camp we take a forty-five minute boat ride across Knight Inlet, through Thompson Sound to the Kakweikan River and spend a day with Trapper Rick. This river is located on the BC mainland and once there we travel by road to Rick’s cabin. Along the shores through Thompson Sound there are black bears and the occasionally grizzly bear but most of the grizzlies are viewed in the area of the cabin. 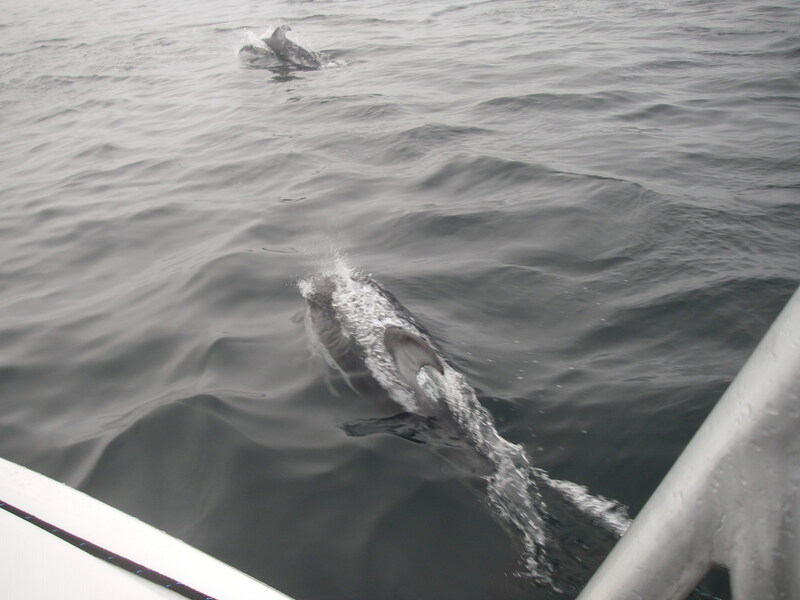 On the boat ride we frequently come across large pods of pacific white-sided dolphins, which like to play in the bow wave and prop wash of the boat. 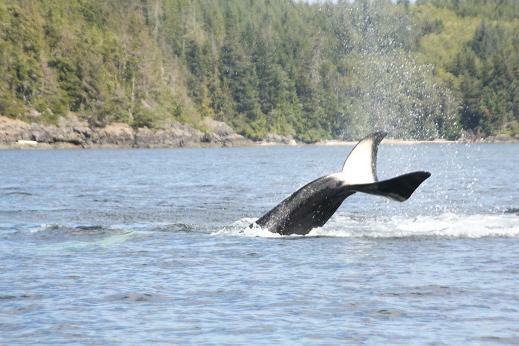 A killer whale’s inverted Tail Lob – while on its back, it raises its flukes above the water’s surface and brings them down with force. This type of behavior is often viewed when the whales are in close contact with their pod or grouped together with other pods and seems to be a form of communication. 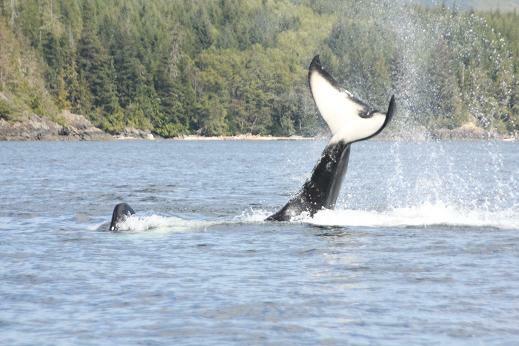 Whether tail slapping is a friendly or an aggressive form of behaviour is not proved beyond a doubt but a majority of the times it seems to be a playful thing especially within the Northern Resident Whales that are in our viewing area. The sound that echoes after a tail slap can be very loud.